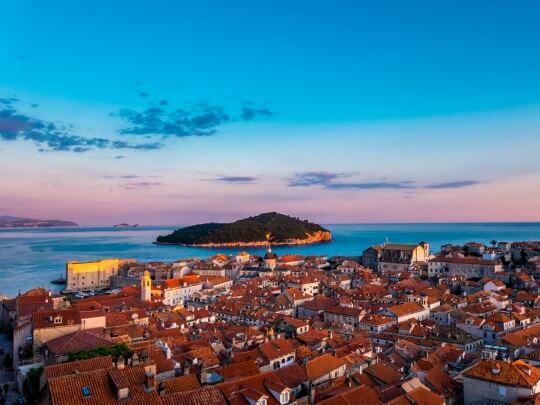 Follow the descending sun as it kisses the stone walls goodbye, spilling a golden trail on the surface of the sea leading from the rocky shores around the Old Town Dubrovnik to the mystic island of Lokrum and the concealed Betina Cave. 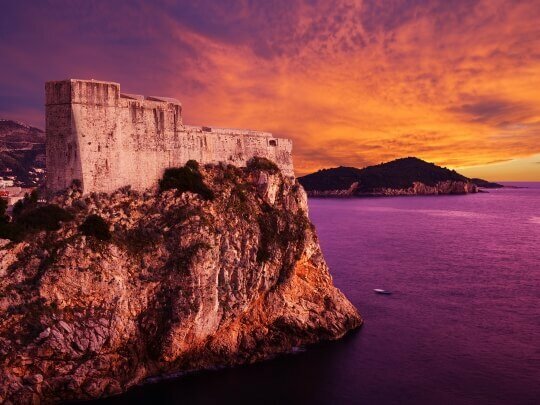 Powered by nothing but your own two hands, admire the walled Old City from a kayak, discovering a Dubrovnik so different than the one that lies inside. 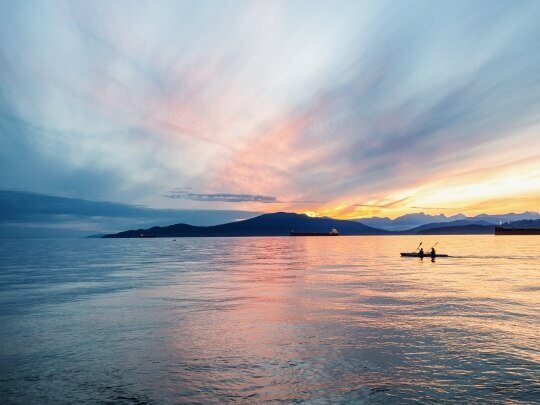 Beneath the mighty St. Lawrence fort, in the small bay of Pile, learn the basics of kayaking safety before departing on your sunset adventure. 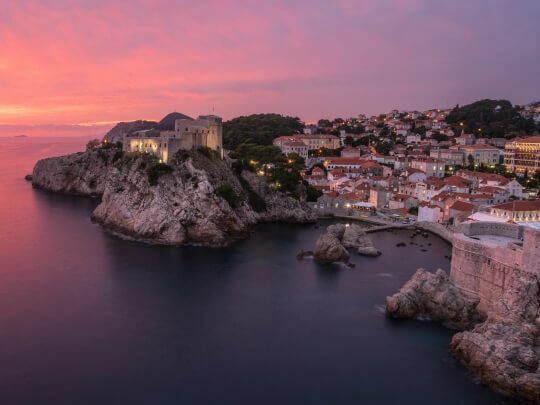 Paddle beneath the City Walls, pass the Old town harbor, and beneath the streak of Dubrovnik’s fancy 5* hotels, discover a cave accessible only from the sea. By the wondrous Betina cave, take a dip, snorkel and refresh for the next leg of your journey. 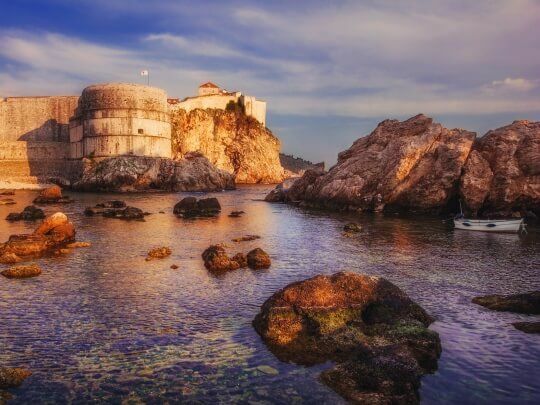 Head to the leafy Lokrum Island, a place of myths, legends and caves. Facing the sun as it touches down on the horizon, make your way back to Pile to enjoy a rewarding snack and a glass of wine. 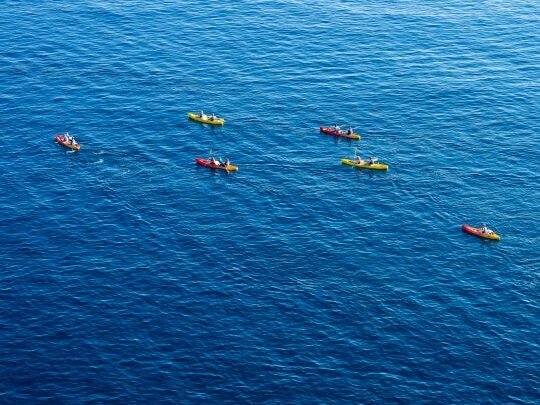 Kayaking trip can be cancelled without prior notice in case of bad weather conditions. In addition, the guides are entitled to adapt the route on the spot in case of any extraordinary circumstances.